It was a very close call this month, but Naoto Matsumura has won out over the other candidates as Elaphebolion 2015 cause for Pandora's Kharis. He got 40% of the votes while Feeding America got 30%, The Donkey Sanctuary 20%, and The Greek Archaeological Committee (UK) 10%. Naoto Matsumura is the only human brave enough to live in Fukushima’s 12.5-mile exclusion zone. 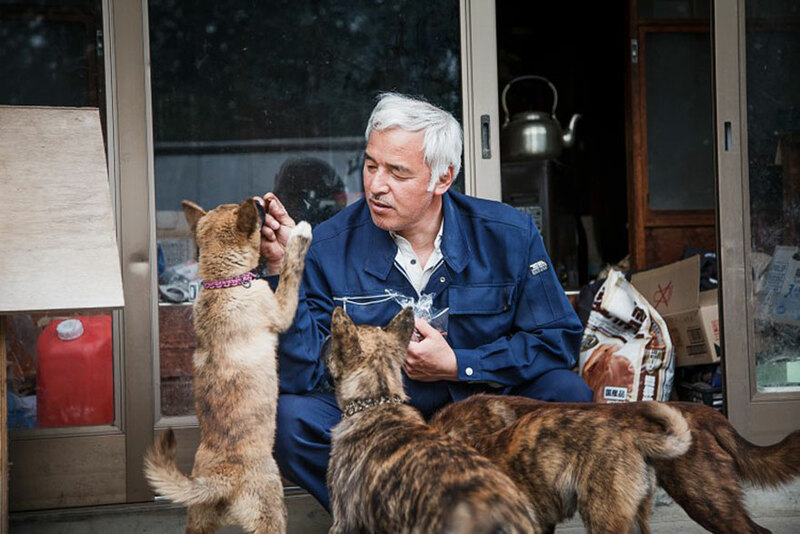 He is known as the ‘guardian of Fukushima’s animals’ because of the work he does to feed the animals left behind by people in their rush to evacuate the government’s exclusion zone. He is aware of the radiation he is subject to on a daily basis, but says that he “refuses to worry about it.” He does take steps, however, by only eating food imported into the zone. “They also told me that I wouldn’t get sick for 30 or 40 years. I’ll most likely be dead by then anyway, so I couldn’t care less”. He fled at first but returned to take care of the animals that were left behind. He returned for his own animals at first, but realized that so many more needed his help, too. Matsumura discovered that thousands of cows had died locked in barns, and he also freed many animals that had been left chained up by their owners. Many of them now rely on him for food. Matsumura relies solely on donations from supporters to work with and feed the animals, and we can help him do that. You can make your donations to this very honourable cause until 20 April, 2015, by clicking the 'donate' button to the side, or by transferring the funds directly to baring.the.aegis@gmail.com with PayPal. Thank you in advance.